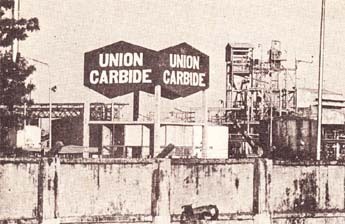 December 2-3, 1984 – Poisonous gas leak from Union Carbide’s pesticides factory. First Information Report filed on December 4. 7/12/ 1984 – Prime accused Warren Anderson amongst nine others arrested in India – Anderson is released on bail of 25,000 rupees, upon a promise to return. 20/2/1985: The President of India promulgated the Bhopal Gas Leak Disaster (Processing of Claims) Ordinance1985, which empowered the Union of India (UOI) to act as the sole legal representative of all gas victims. The Ordinance was enacted as an Act of Parliament on 29 March 1985.
a) Multinational Enterprise Liability;b) Absolute Liability; c) Strict Liability; d) Negligence; e) Breach of Warranty; f) Misrepresentation; and g) Punitive Damages. On 13 May 1986, the New York Court dismissed UOI’s plea on the grounds that the courts in the United States were not the appropriate forum to seek justice for the gas victims. On 05 September 1986 the UOI filed a suit (Regular Suit No.1113/86) for damages in the District Court of Bhopal, which replicated, almost wholly, the suit it had filed before the US Court. 22/11/1986: UOI announced that the amount it would claim as damages from UCC exceeded 3000 million US dollars. 26/11/1986: Zahreeli Gas Kand Sangharsh Morcha and Jana Swasthya Kendra filed an application before the Bhopal District Court demanding payment of interim relief from UCC. 16/12/1986: UCC filed a written statement in reply to the Interveners’ plea in Regular Suit No.1113/86 contending that they are not liable. 2/2/1987 In suit No.1113/86 filed by the UOI on 5/9/1986, the District Judge of Bhopal, Mr.M.W.Deo, put forward a suo moto proposal regarding payment of interim relief to the Bhopal gas victims. 17/12/1987: As a consequence of the proposal mooted by the interveners on 26/11/1986 and the suo-moto proposal put forward by the Court on 02/02/1987, the District Court of Bhopal ordered the UCC to pay an interim compensation of Rs.350 crores ($270 million) to the Bhopal gas victims. 29/01/1988: UOI eventually filed the Amended Plaint in the District Court of Bhopal furnishing all material particulars and quantifying the approximate value of the total claims (531,770 until then) at Rs.3,900 crores (3 billion US dollars), excluding punitive damages, interests, and costs of the suit. 04/04/1988: On UCC’s appeal (revision petition No.26/88), the Madhya Pradesh High Court at Jabalpur modified the order of the Bhopal District Court dated 17/12/1987 in Regular Suit No.1113/86 and ordered UCC to pay an interim compensation of Rs.250 crores only. 06/07/1988: CJM, Bhopal, issued letter rogatory to the U.S. Administration seeking permission for the CBI to inspect the safety systems installed at the MIC Unit of UCC’s parent plant in Institute, West Virginia, USA. This was for comparing the safety standards with those of the safety systems that had been installed at the MIC Unit of the Bhopal plant. 08/07/1988: UOI filed SLP (No.8718 of 1988) in the Supreme Court against the High Court order dated 04/04/1988 in revision petition No.26/88. 08/09/1988: The Supreme Court admitted both UCC’s and UOI’s SLPs against the High Court order dated 04/4/1988 in revision petition No.26/88 as Civil Appeals Nos.3187-3188 of 1988. 08/09/1988: The Bhopal Gas Peedith Mahila Udyog Sanghathan (BGPMUS) filed a petition seeking interim relief for the gas victims before the Supreme Court. 15/11/1988: The CJM, Bhopal, issued bailable arrest warrant against Warren Anderson, accused No.1, for his non-appearance in the criminal case. He was ordered to be present in Court on 09/02/1989. 09/02/1989: When it became clear that Warren Anderson, accused No.1, had been deliberately avoiding to be present in the court, the CJM, Bhopal, after accepting the CBI’s application, proclaimed Anderson as an absconder under section 82(1) Criminal Procedure Code (Cr.PC), with the expectation that the accused would be present in court on 31/03/1989. 14/02/1989: The U.S. Administration granted permission to the CBI to inspect the safety systems of UCC’s pesticide plant at Institute, West Virginia, USA, for purposes of comparison of the safety systems with that of the safety systems installed at the Bhopal plant. 14-15/02/1989: In the midst of the ongoing hearing in the matter pertaining to payment of interim compensation (C.A. No.3187-88 of 1988) before the Supreme Court, there was a Court assisted settlement of the main suit itself. After withdrawing the original suit pending in the Bhopal Court before it and disposing of the same without adjudicating the issue in question, the Supreme Court directed that there be an overall settlement of the claims in the suit for $470 million (about Rs.713 crores) and termination of all civil and criminal proceedings. Bhopal activist groups and legal luminaries of the country question the break-neck speed with which the settlement was arrived at. Serious question were raised, like: (1)	Did the CJM’s decision on 09/02/1989 to issue non-bailable warrant of arrest against UCC’s Chairman, Warren Anderson, and the U.S. Administration’s decision on 14/02/1989 to permit the CBI to inspect the safety systems of the MIC unit at UCC’s plant at Institute in West Virginia, USA, have anything to do with the hurried settlement? and (2)	Why were gas-victims not served notice by way of public pronouncements regarding the terms of the proposed settlement before the UOI decided to agree to the settlement? Feb./Mar.1989: Public protest against the unjust settlement followed by filing of a number of review and writ petitions against the settlement in the Supreme Court by the Bhopal Gas Peedith Mahila Udyog Sanghathan (BGPMUS), the Bhopal Gas Peedith Sangharsh Sahayog Samiti (BGPSSS), Raajkumar Keswani and other concerned groups. 05/03/1990: Succumbing to the mounting pressure from Bhopal activist groups , the Union Government decided to sanction Rs.360 crores from its treasury for the distribution interim relief to nearly 500,000 gas victims for next three years. Each person entitled to get Rs.200 (roughly 4$) per person per month. 03/10/1991: In response to review and writ petitions the Supreme Court of India, while upholding the settlement amount, revoked the criminal immunity granted to UCC and all other accused in the Bhopal gas leak disaster case. 11/11/1991 Criminal cases against all the accused were revived in the Chief Judicial Magistrate’s Court at Bhopal and summons were issued to all the accused asking them to be present in the Court on 07/12/1991. 07/12/1991: Accused Nos.2 to 9 and 12 responded to the summons and appeared before the CJM in R.T. No.2792/87. Accused Nos.1, 10 and 11 were absent. The CJM issued proclamations ordering accused Nos.1, 10, and 11 to be present before the Court on 01/02/1992. 01/02/1992: The CJM declares Warren Anderson, UCC (USA) and Union Carbide Eastern (Hong Kong) – accused Nos. 1, 10 and 11 respectively – as absconders for non appearance in the criminal case (R.T.No.2792/87). The CJM also declared that if the accused did not appear in the Court on 27/03/92 their properties could be attached. 20/3/1992: After being proclaimed as an absconder on 1/2/1992, UCC (USA) secretly set up the so-called Bhopal Hospital Trust in London (UK) with Ian Percival (a former Solicitor General of England and an attorney – during 1984-92 – with the US law firm, Sidley & Austin, which was retained by UCC) as its sole trustee. UCC, which is fully aware that all its properties in India are liable to be attached for non-appearance in the criminal case as per the order of the CJM, Bhopal, dated 1/2/1992, endowed those very properties to the Trust. Apart from an initial grant of 1000 Pound Sterling for administrative expenses of the Trust, the only funds endowed to the Trust by UCC are its shares in UCIL. 15/4/1992: UCC Chairman, Robert Kennedy, announced that UCC had endowed all its shares in UCIL [which were liable to be attached as per the order of the CJM, Bhopal, dated 1/2/1992] to the so-called Bhopal Hospital Trust set up in London, UK. 30/04/1992: In response to the applications filed by the CBI, BGPSSS, Bhopal Group for Information and Action (BGIA), and BGPMUS, the CJM, Bhopal, refused to recognize the transfer of UCC’s shares in UCIL to the so-called Bhopal Hospital Trust and attached the shares and properties of UCC in India for non-appearance in the criminal case (R.T. No.2792/87). 08/04/93: The Sessions Court, Bhopal, framed charges against accused Nos. 2 to 9 & 12 (eight officials of UCIL and the company UCIL) for punishable offenses under sections 304 Part-II, 326, 324 and 429 of IPC read with section 35 of IPC. 13/09/1996: In Criminal Appeals Nos.1672-75 of 1996, filed before the Supreme Court by accused Nos.2 to 9 and 12 in the Bhopal gas leak disaster case, the Court reduced charges against the accused from Section 304-Part-II of IPC to Section 304-A, i.e., from a charge of culpable homicide to a case of negligence. Subsequently, the trial against the accused proceeded before the court of the CJM, Bhopal. 10/03/1997: The Hon’ble Supreme Court summarily dismissed the plea of BGPSSS against reduction of charges against the said accused Nos. 2 to 9 and 12 from Section 304 Part-II to Section 304-A at the preliminary hearing on 10/3/1997 without going into the merits of the plea and without issuing a reasoned order. [At the instance of BGPSSS, BGPMUS and BGIA, four crucial prosecution witnesses (PWs) appeared in the case, namely: Kamal Pareek (former safety officer of UCIL, PW 164); Hattim Jariwala (former workers’ union leader, PW 165); Shahnawaz Khan (a Bhopal based lawyer, PW 169); and Raajkumar Keswani (the Bhopal based journalist, who had issued the fore-warning regarding the potential threat from the Bhopal plant, PW 172). 20/7/2009: BGPSSS & BGPMUS filed another Application for Directions under Section 15 of the Evidence Act 1872 & Section 105B of CrPC urging the Court to initiate punitive action against the concerned public servants for non-execution of the Letter Rogatory issued by the CJM on 06.7.1988. 22/02/2010: Examination of prosecution witnesses and defence witnesses in R.T.No.8460 of 1996 against accused Nos.2 to 9 and 12 (UCIL and its officials) concluded before the Court of the CJM, Bhopal. 22/03/2010: Final hearing in R.T No.8460 of 1996 begins. 26/4/2010: BGPSSS & BGPMUS filed another Application for Directions under Section 216 Cr.PC for enhancing the charges against the accused to Section 304 Part-II of IPC from Section 304-A IPC on the basis of the evidence already placed before the Court by 178 prosecution witnesses and 8 defence witnesses. The application was rejected instantly by the CJM. 19/5/2010: Final hearing in R.T. No.8460 of 1996 concludes. The verdict to be pronounced on June 7, 2010. 7/6/2010 : All 8 accused in Bhopal gas disaster case convicted. Just 2 years jail to killers of several thousand. Released on bail instantly. Prime accused Warren Anderson safe. I learned a lot about gas tragedy which occurred on 2nd December and really im saying that i feel very sad i lost my indians and my own bhopalies im just thinking that if i would be there at that time what would have happened with me so well done Mr.Rkeswani i as a student of sanskar valley school getting a great leadership quality from u and i will follow this thank u sir. Recent statement of former M.P. chief minister Shri Arjun Singh blames Shri Narsimha Rao for the release of Union Carbide chief Anderson. Mr. Rao was home minister at centre, that time. If it is so, the whole GOI is responsible. Since Mr. Rao is no more and cannot defend, better to verify the facts with the records.Otherwise mystery will remain mystery. Imdad Ali saheb, they say the records are missing. I would say the truth is missing.